point and place was a collaborative bookwork by 6 artists/performers: Julie Brixey-Williams, Camilla Brueton, Simon Kennedy, Theron U Schmidt, Rajni Shah and Caroline Younger. The project addressed questions of space from several disciplines within art and design, at the centre of which was an exploration of the nature of collaboration. This resulted in a unique double-bound book of images, allowing shifting viewpoints and thresholds. 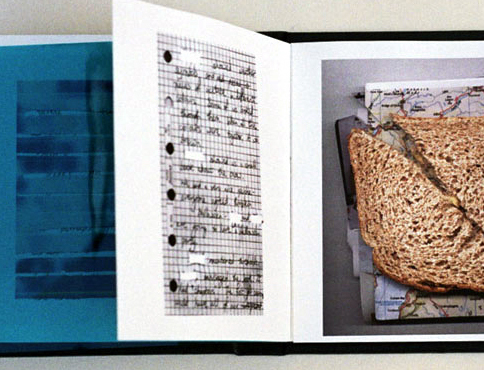 It was launched at the 2007 London Artists Book Fair at the ICA and was awarded the Birgit Skiold Award for excellence in Book Arts. © Camilla Brueton. Powered by WordPress using the DePo Skinny Theme.